Okay, Thanks! I was going to work on it some today. Ooooo. 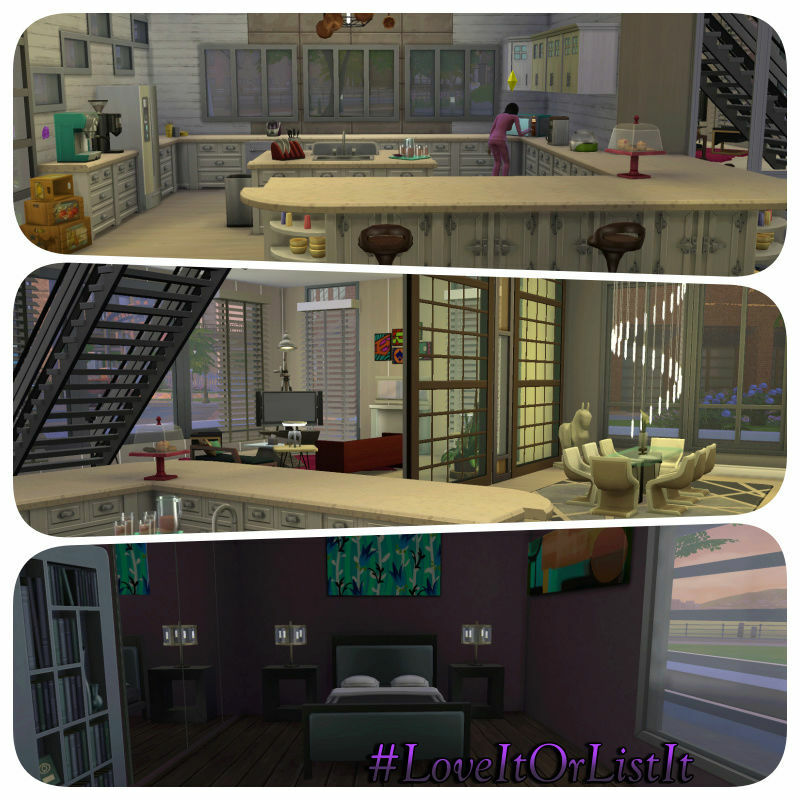 Another Love it or List it challenge. I've seen the ad's on TV for Orphan Black but have never watched it, though it does look like a very interesting show. Just may have to put that on the shows to check out list. You can count me in! I'm in a building mood!! I have rooms done for 2 of the 4. Progressing well...as long as I don't go crazy with the money. Decided to bulldoze the lot, got the entire frame up went to start putting the inside together only to see that when I went down to the bottom floor (it was 3 stories high), the walls wouldn't show only if I had them all the way up! So I scrapped that build. Try again! I think I'm done but before I share it to the Gallery, I want to go through the home and make sure that I've got everyone covered. Hope it was okay to add a partial basement. 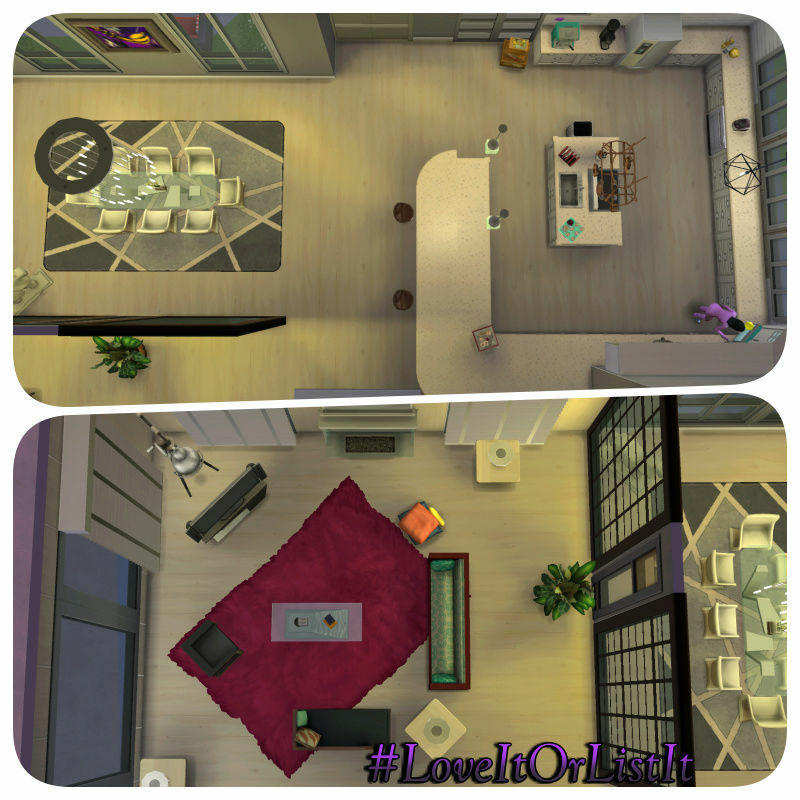 I went with a combo of modern and contemporary through out the home with mixtures of some bohemian. 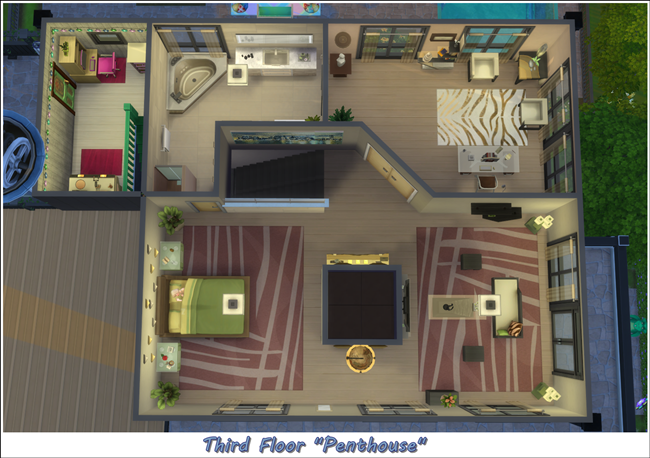 Each bedroom I tried to keep it to that sims like. 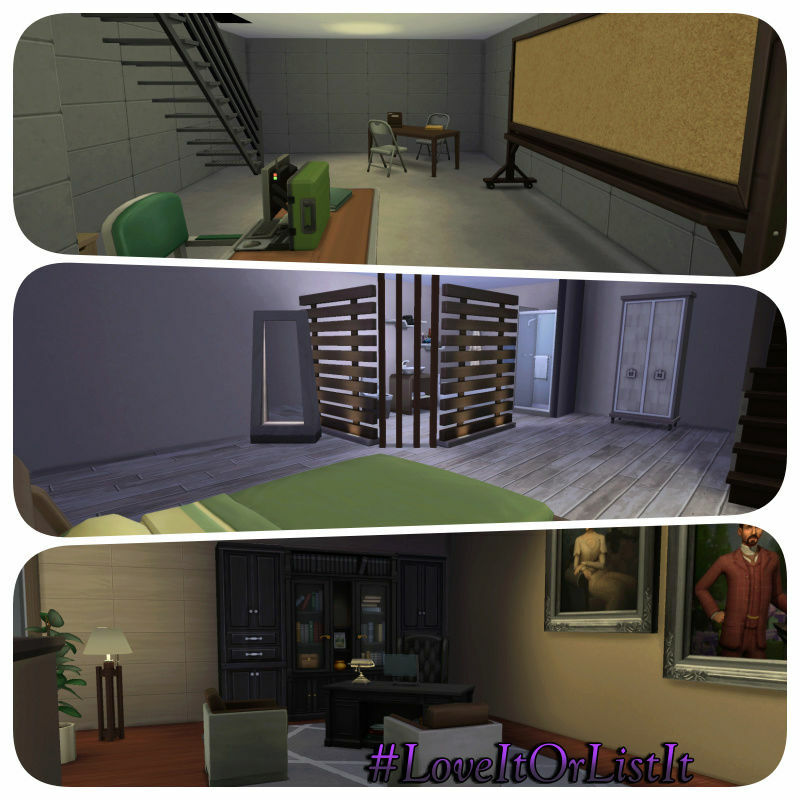 The bottom bedroom will be for Beth with a "hidden" door for her to enter into her interrogation room. 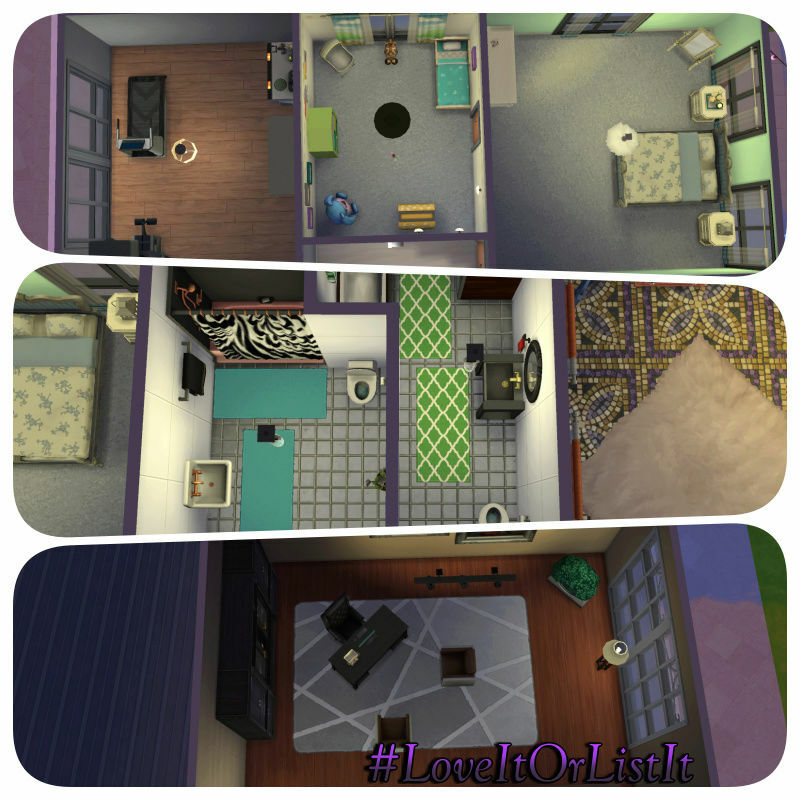 Upstairs one room is a combo of work out and lab for Beth and Cosima. For Helena, her gourmet kitchen and a sweet little spot out back for her garden parties and off her bedroom is a nursery. Cosima's is pretty easy to pick out. And for Rachel. Her bedroom has it's own full bath and stairway leading up to her executive office with big windows for her to see the city and waterway. This what I've come up with. The complete renovation/remake came in under the amount allowed. This home has been tested throughout. 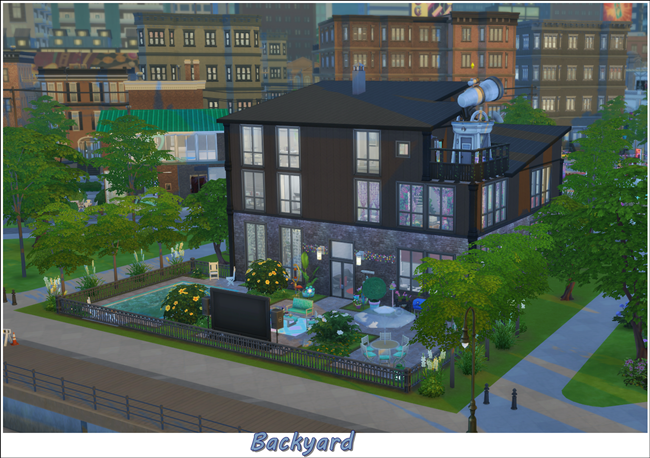 @mamajanaynay I love your remodel! You did awesome! Really like the open living space. I am still working on mine. 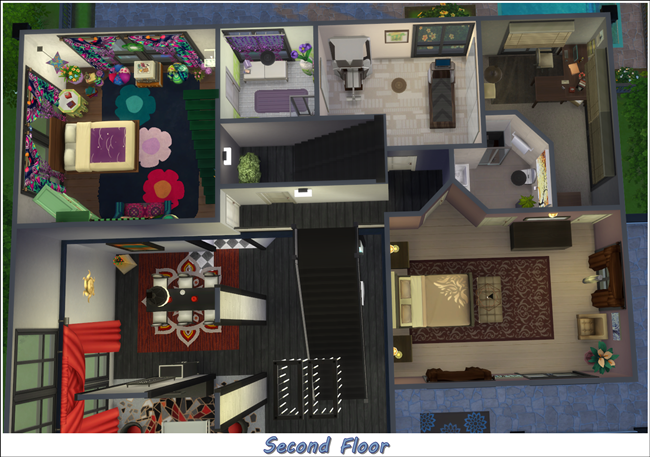 I think I finally got the second floor layout the way I want it and now I can decorate it. I haven't even touched the landscaping. @Pallystyle Thanks! After thinking and rethinking tearing down and putting walls back up, exiting without saving multiple times, I had finally decided to just leave the majority of the interior the same with some tweaks and additions. I had tried the bulldozing but that failed miserably so I didn't even made any more attempts at that. I'm going to try to get this up into the gallery today and post the link for it. Wow! This looks fantastic! Helena is going to absolutely love the kitchen! She will be able to eat till her heart is content! She loves the color scheme you chose for the room. 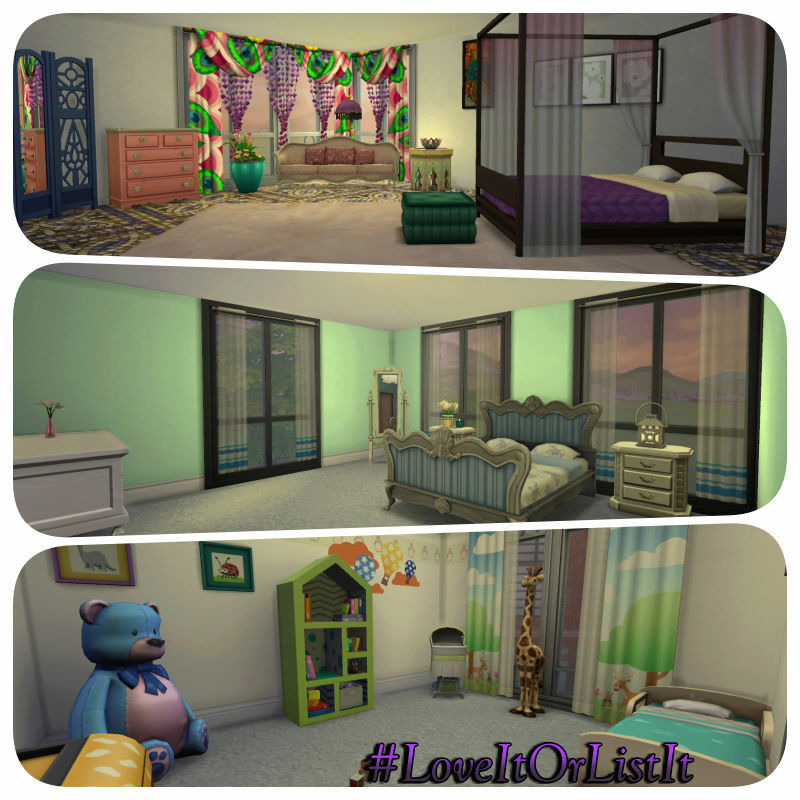 She has flipped over her room and nursery, the green on the wall will help sooth her tormented soul. She is very very happy with the garden. She has already started planning her first party! She need your email to send your invite. Rachel: will surely love the decor of the dining room. Very chic. The living area looks very nice, the area rug is a really nice touch and makes things pop. The plum bedroom is gorgeous, Rachel is claiming it. The office is perfect for her to rule the world! Cosima: Is overjoyed with the bohemian style of her bedroom. She can relax and recover while she continues to research for the cure of her mysterious illness. She is very happy to have a lab at home to run her samples. 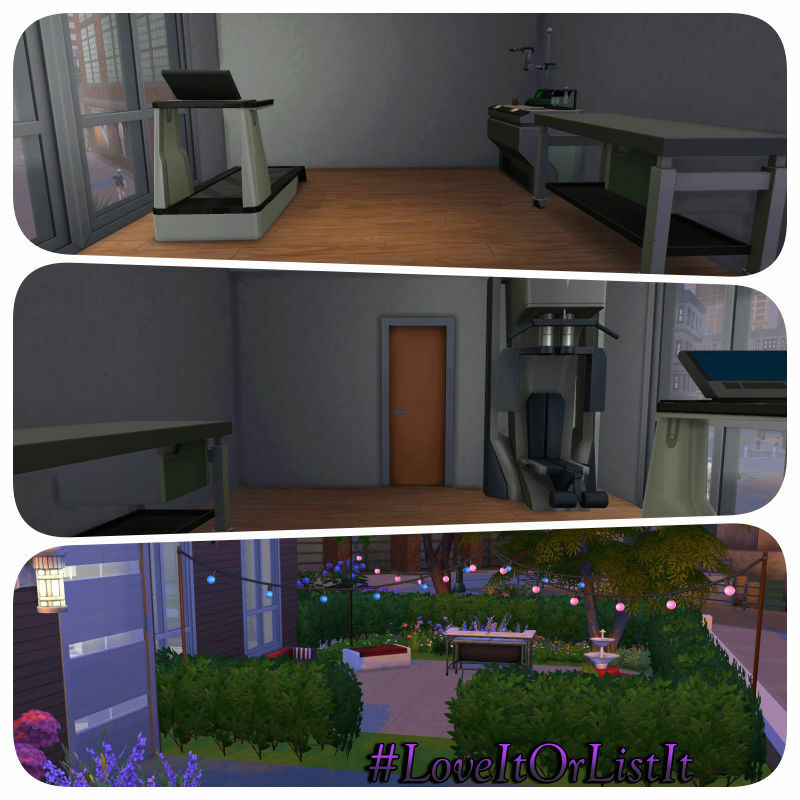 Beth: Is ecstatic to have an interrogation room away from the police department. It will be a nice to be able to question suspects of Project Leda away from the department! She's looking forward to putting the gym space to good use,as she has a lot of issues to work through. I am looking forward to seeing it in the gallery. Yay! 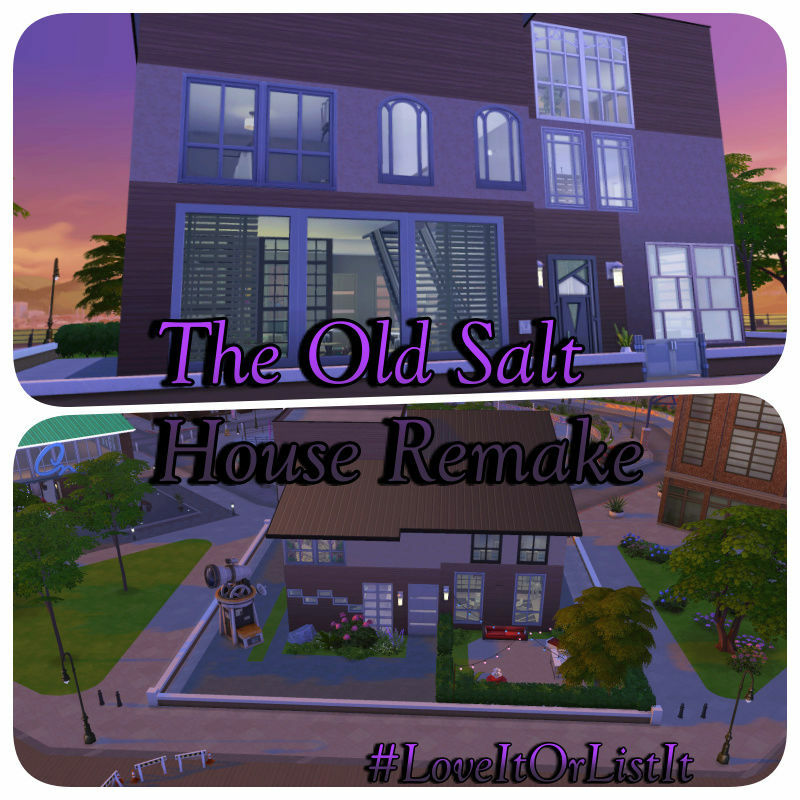 I'm so happy the girls love the remake/remodel of The Old Salt house! I wasn't sure how well Rachel would receive it and was surprised she is very happy. I will get this home up into the gallery as quickly as possible. I wasn't able to upload it there today, here's hoping tomorrow will be the day! 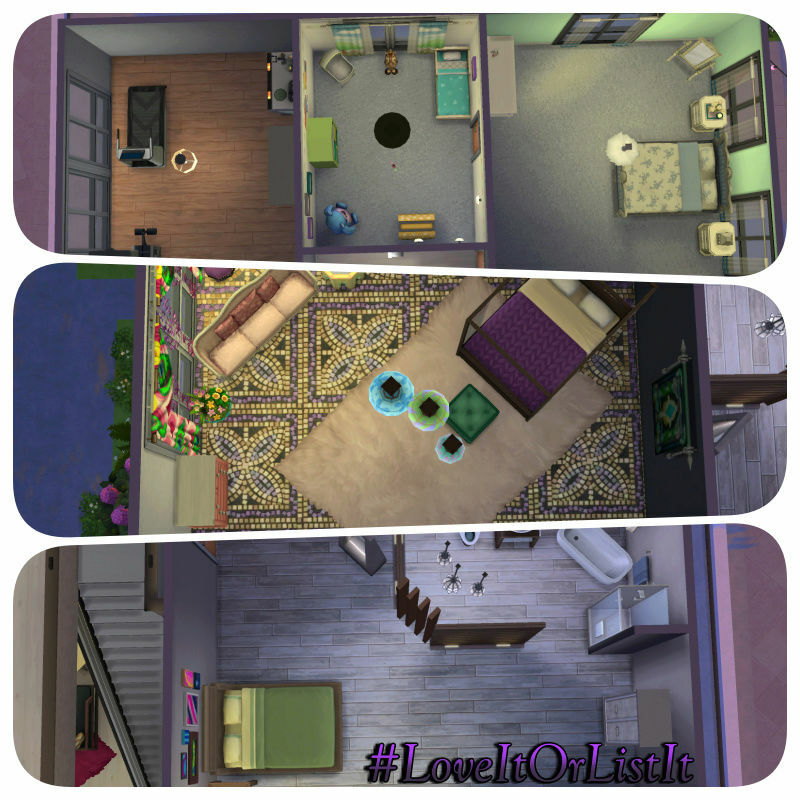 Loving the re-deux of the lot and the presentation pictures. I have my remodel done. I made a little youtube slide of pictures. No CC was used. I did use the cheats you said were okay in the brief/rules. Play tested. I used paintings to decorate made by NaJoPau found on the gallery. I will try and post some pictures here when I get the chance. My toddler is grumpy in the tummy today so I was lucky to get this finished. Well the boy was distracted so I got to edit my pictures. Thank you! I did have fun doing it. I think I got carried away, lol. Wow! This is wonderful! I love it! Each sister will be very happy to "Love it!" I am so sorry for missing this post. I have been having some trouble with notifications from this site and RL has been totally crazy for the last month.